Elaine (12) has been a staff writer on The Voice for three years, was previously student life editor, and is currently c0-Editor-in-Chief. She particularly enjoys creating aesthetic layouts on indesign and interviewing people for articles. 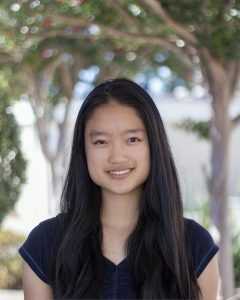 In her free time, Elaine enjoys competitive dancing and traveling with her family.